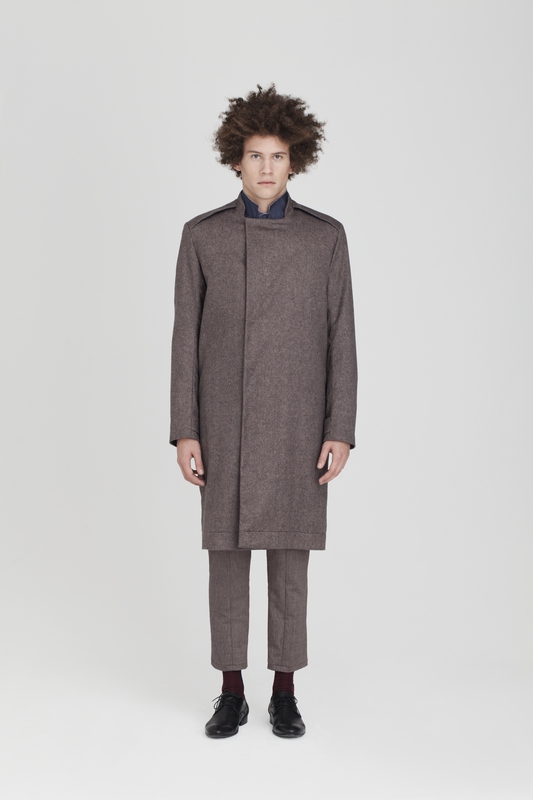 This coat is made from the finest silk cashmere mix. A standard fit, it has a small modern mandarin collar, a yoke in the front and the back. Lined in the finest cotton, it has 2 outer pockets int he sideseam, 1 inside pocket and a hidden press button fastening. This slim fit shirt is made from the finest cotton. It has a small modern banded collar and a front polo fastening. Long sleeved, it has buttoned cuffs and a straight hem.